We had a special birthday here last week - my daughter turned 10! Every year she gets a card made with the gorgeous new Sale-A-Bration products. This year I chose to use the Banner Blast stamp set & combined it with one of her all-time favourites, the cupcake punch & stamp set. The best thing is you can get this stamp set free when you order $90 worth of product. In fact if you ordered just 3 of the products I used on this card you would be there already! 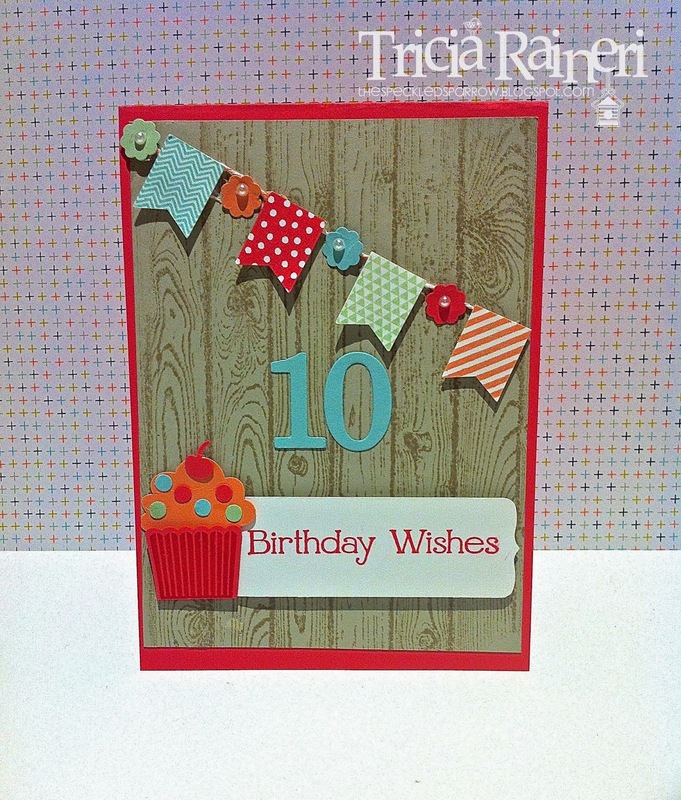 I really like the new Hardwood background stamp from the NEW Occasions catalogue. It is quite versatile & looks great as a background, don't you think? 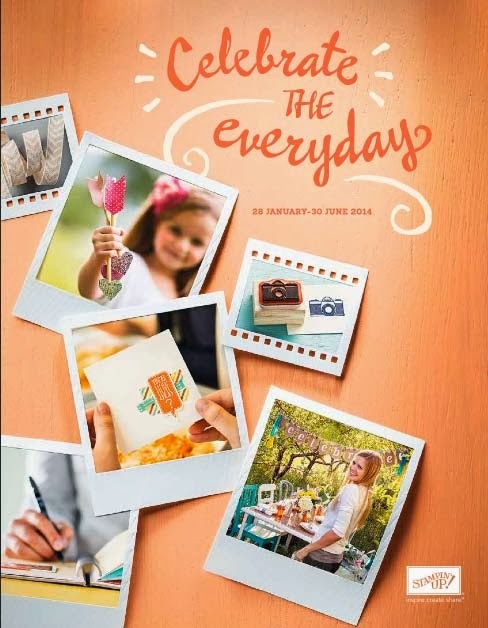 The Occasions catalogue is jam packed full of lovely new stamps, tools & bundles, plus there are a few carry over items from the Holiday catalogue too. If you would like your very own copy of the new catalogues feel free to contact me so I can get them in the mail for you. Stamp Sets: Banner Blast (Sale-A-Bration 133551), Four You ( 130538), Hardwood (Occasions 133032), Create A Cupcake (121982). Paper: Whisper White (106549), Strawberry Slush (131300), Sahara Sand (121695), Crisp Cantaloupe ( 131303), Pool Party ( 124391), Pistachio Pudding (131299). Ink: Strawberry Slush (131178), Crisp Cantaloupe (131176), Pistachio Pudding (131177), Pool Party (126982), Crumb Cake (126975). Cool Tools: Bigshot (113439), Chalk Talk Framelits (129983), Cupcake Builder Punch (121807), TypeSet Alphabet Bigz (127553), Calypso Coral Twine (125573), Banner Punch (Sale-A-Bration 133519), Itty Bitty Shapes Punch Pack (118309), Dimensionals (104430, Pearls (119247). Sale-A-Bration Is Here & So Much More! 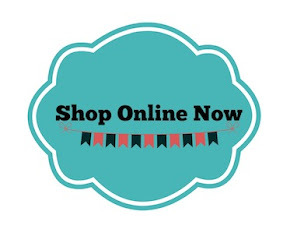 Sale-A-Bration is Stampin' Up! 's biggest event of the year, where you reap the rewards! Wow, how exciting! It my favourite time of the year on the Stampin' Up! Calendar. Lots of free items this year to choose from - in fact there are 13! Figuring out what to choose is the hard part, the easiest part is earning them. With every $90 spend you get to choose 1 item from the catalogue. Host a qualifying party & receive an extra $50 in hostess dollars. Wow, that is huge! Yes, you read that right. Order $90 worth of product on any order - online, direct to me, or as a customer at a class or party & you get to choose 1 of the free products. The hard part is what to choose! Want an extra $20 to add to your kit - yes please! Join during Sale-A-Bration & you get not only an extra $20 worth for the same price of just $169 but you also get the opportunity to earn more free products. Contact me to find out more. Oh & not only that - the NEW Occasions Catalogue starts today as well! WooHoo! This catalogue is jammed packed with lots of lovely new products which you can order right now! You can click the link below or as always on the right hand side of this blog ----> there are pictures of each catalogue for you to view. You can order online via My Online Store or through me but remember you get 1 free Sale-A-Bration item for every $90 you spend! We also have a NEW item in the store. 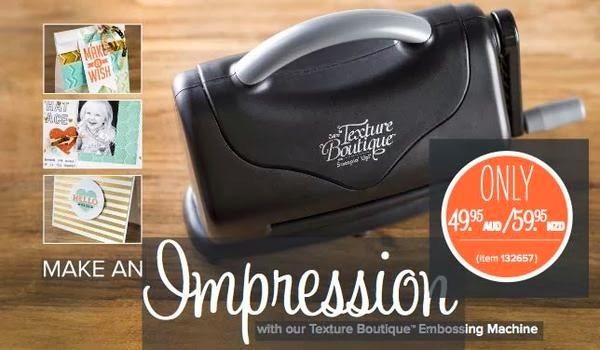 It is called a Texture Boutique & it is a handy little embossing machine. I am really excited about this one. There is a youtube video on the machine CLICK HERE to view it. 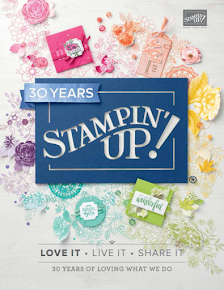 A nice big box full of Stampin' Up! Occasions Catalogue product arrived 2 days ago, but life got in the way..…until now. I managed to finally get creating with my lovely new products today. Nicole, (from Nic Nac Lovelies) & I had a lovely craft day creating lots of new sneak peeks just for you. The Occasions catalogue goes live 28th January, so not long to wait! 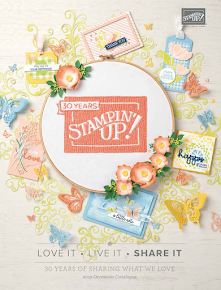 One of the many reasons I love being a Stampin' Up! 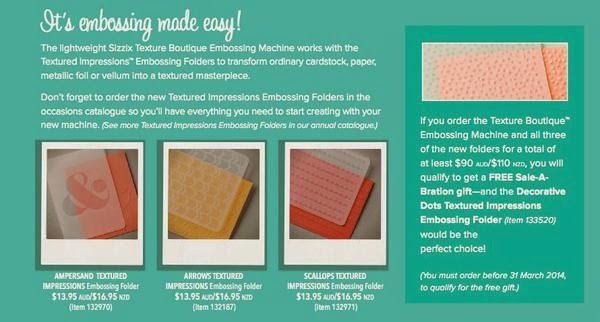 demonstrator is we get to preorder & play with all the new catalogue products a whole month before they are released. I loved the So Grateful stamp set right away & could see lots of great uses for it. Today I chose to water colour it using my blender pens & markers. I could have sworn I saw a card just like this recently but it seems I may have dreamt it. I looked high & low today & I could not find anything like it. So, it seems it may just be my very own creation. I don't often use subtle colours. Those of you that know me, know I am far from subtle ;) I am a more bright, In Colour type of girl. For this card I wanted to use the Venetian Romance DSP and for some reason Baked Brown Sugar & Blushing Bride. They work well together don't you think? I have used 3 new sneak peek products here - can you pick it? That twine is a Sale-ABration item coming very very soon & the striped flag is from a new Occasions Catalogue stamp set called Perfect Pennants. I have lots more sneak peeks in store for you. Sale-A-Bration is just under 3 weeks away so for the next few weeks you will be seeing my countdown creations to this very special event. Once again this year I am holding my Sale-A-Bration day event on the 23rd February. Last year's event was an all day saga, however, this years will run 10:30 am - 4:00 pm & will be held at my house. More info regarding this day will be released next week. But for now, keep that date free if you would like to attend. Ink: StazOn Black (101406), Markers in: Blushing Bride (131265), Coastal Cabana & Pistachio Pudding (126856). Cool Tools: Bigshot (113439), Ovals Collection Framelits (129381), Victoria Crochet Trim (118481), Very Vintage Designer Buttons (129327), Twine - Sale-A-Bration Sweet Sorbet Accessory Pack (133522), Pearls (119247), Blender Pens (102845).